The TopRax adjustable cable rack is the most convenient, practical and easy way of storing and dispensing various types of cable. 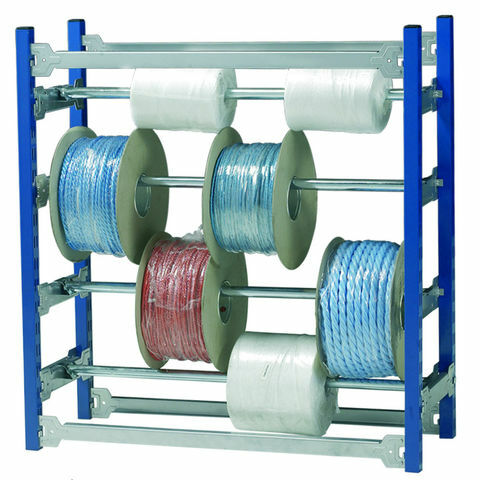 Supplied with 4 fully adjustable hanging rails, the TopRax cable rack can be easily adapted to suit the requirements of each user and different types and sizes of cable reels. The unit uses a clever clip together system that requires no tools, making assembly a doddle, meaning your rack will be set up and ready to use in a matter of moments.